Last November, TeamLab, a Japanese collective of architects, designers, artists, programmers and engineers, installed a large-scale retrospective of its work at the Miraikan National Museum of Emerging Science and Innovation in Tokyo. The two main interactive digital art exhibitions of the retrospective – ‘Digital Art’ that toured the world in 2014, and ‘Learn and Play! teamLab Future Park’ experience park for children – have been so popular at the Miraikan that the show has been extended till May 1, 2015. In addition to the two exhibitions, the installation event has also included new pieces and components that have rotated from time to time. 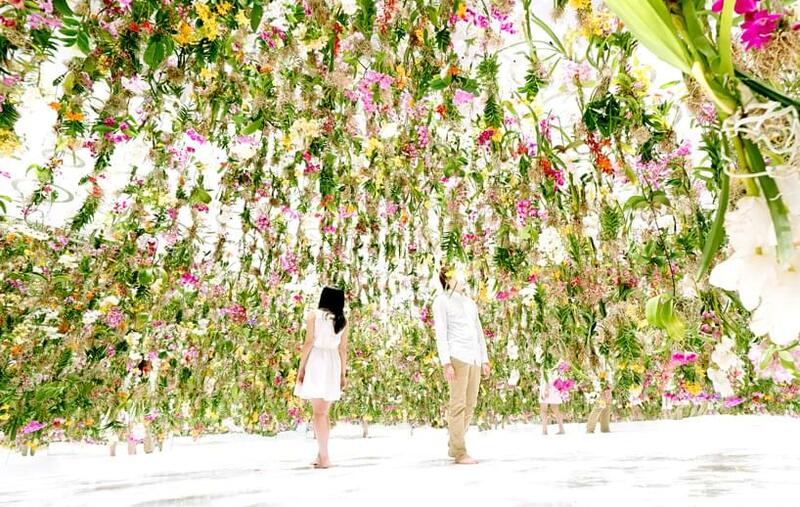 One of the recently re-installed pieces is the interactive experience called Floating Flower Garden that involves more than 2,300 living and growing plants suspended from the ceiling. 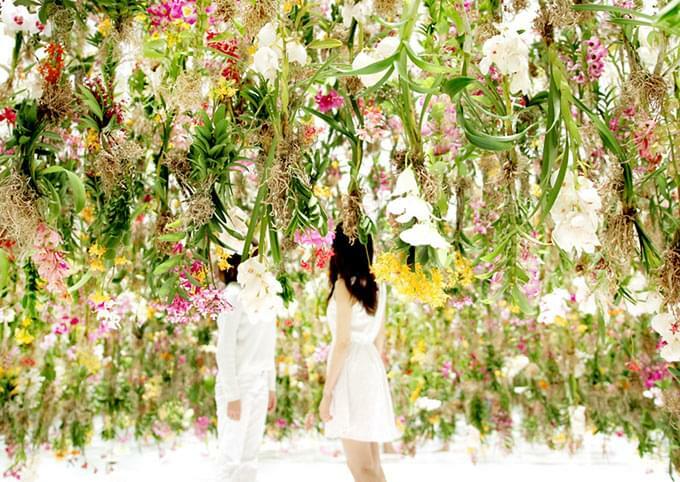 The plants interact with the visitor so that the plants closest to the viewer float up while the others stay lower. 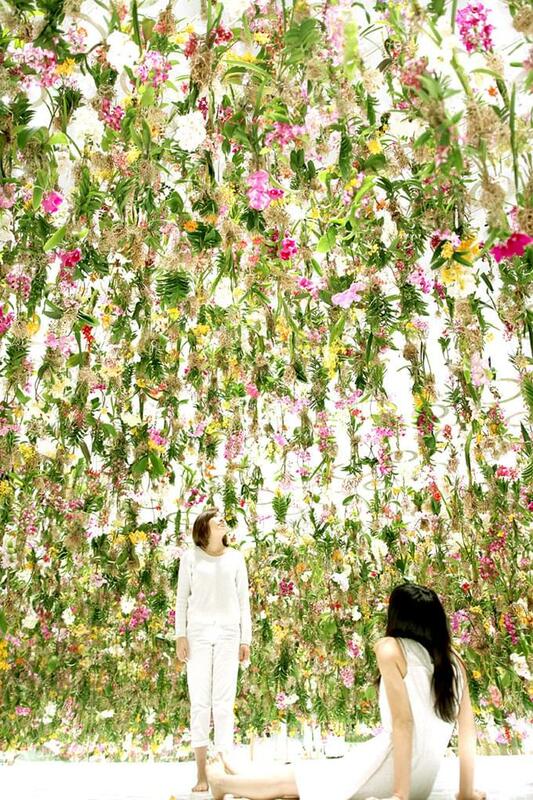 This creates a cocoon or a personal, airy flowering ‘room’ with the viewer at its centre. 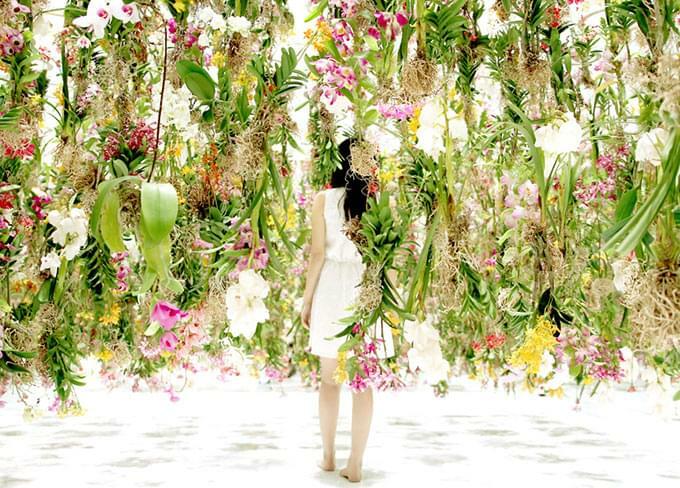 The plants are constantly in motion reacting to the movements of the viewers. 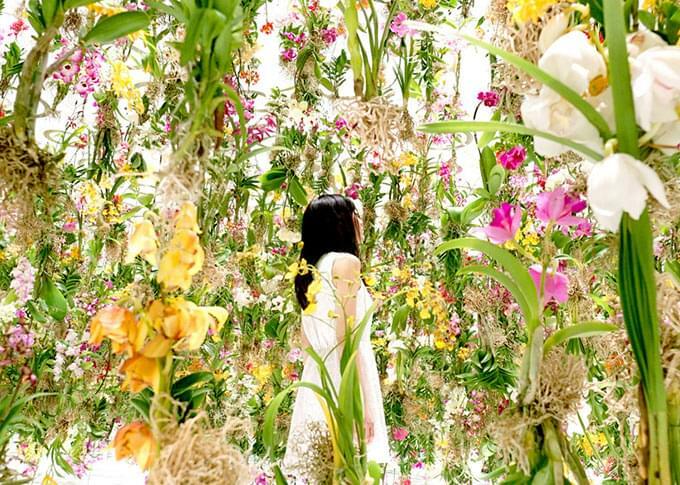 If several people approach an area simultaneously, the plants react by re-creating the space around them.